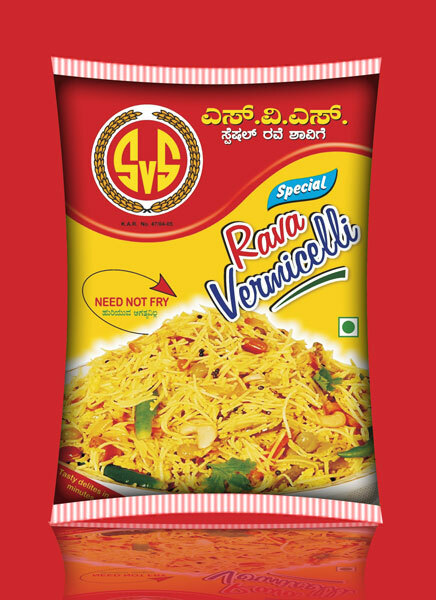 The company is engaged in the manufacturing and wholesale supplying of Roasted Vermicelli in all over the country. The Roasted Vermicelli is especially made from the finest sooji and maida in hygienic manner. The Roasted Vermicelli is one of the best and healthy breakfasts or snacks. The Roasted Vermicelli is available with us at affordable prices. Take oil in a kadai, add cumin, mustard seeds, curry leafs, peanuts, channa dal, black gram dal, onion, green chilies, fry it for few minutes. Add ginger, vegetables, fry it for few minutes. Add water, salt boil it for 5 minutes. Add vermicelli, its cooked. Close the led, sim the flame for 3 minutes. Remove the flame, leave it for 5 minutes and then serve it. Tasty Roasted Vermicelli Upma is ready.